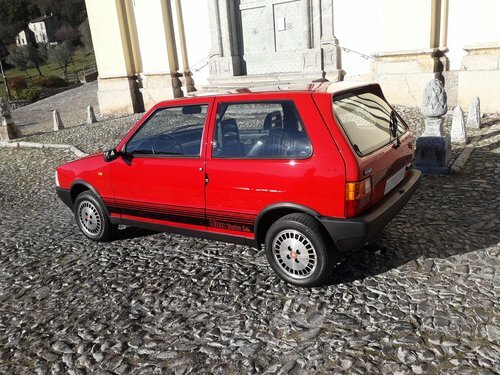 Immaculate fiat uno turbo mk1 from his first and unique property (a woman). 100% original perfect undisturbed condition. 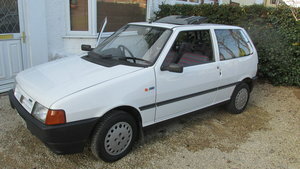 this uno is a model year 87, that introduced the side black strips and the front grill painted. also the struments received some modifications. 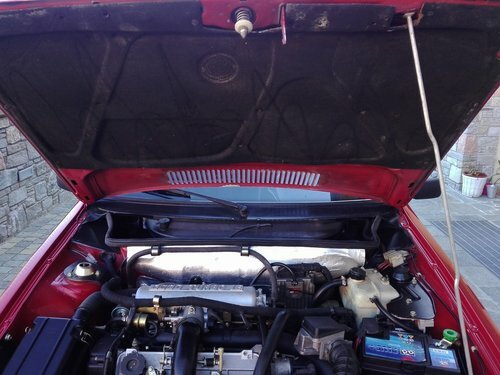 we received this car in super clean genuine shape but with some minor dents and scracthes on his paint. so we done a high level new paint, dismantling the car completely and taking the maximum care of every detail. 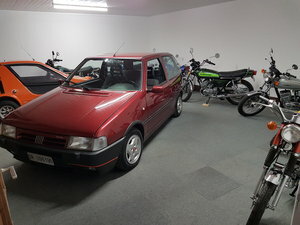 the result is a uno turbo as new....absolutely spectacular! the interior is completely pristine and very nice. 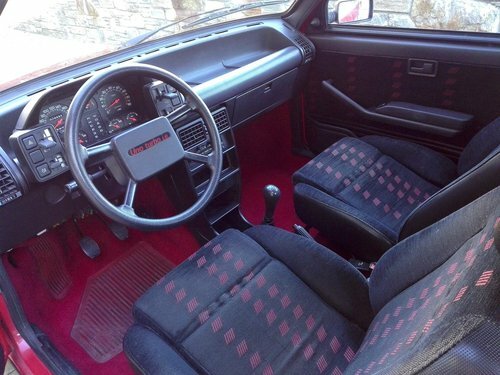 the specific seats cloth is perfect and dashboard, red moquette and headlining looks magnificently. many components as the steering-wheel or the gearbox knob shows his low mileage and careful use. taking advantage of the body-shop work, we did a complete technical revision. suspension and brakes were renewed. 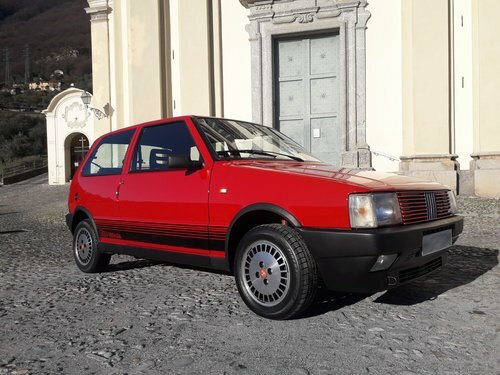 the turbo and the clutch are new. the gearbox was check over. all electric services were checked and brush up. of course a complete oil service & filters and 4 new firestone tires. result ? 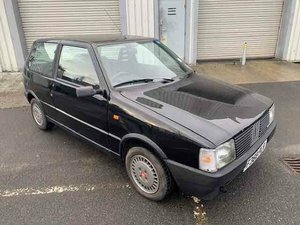 drive this turbo is probably better than a new car....just come and test it ! 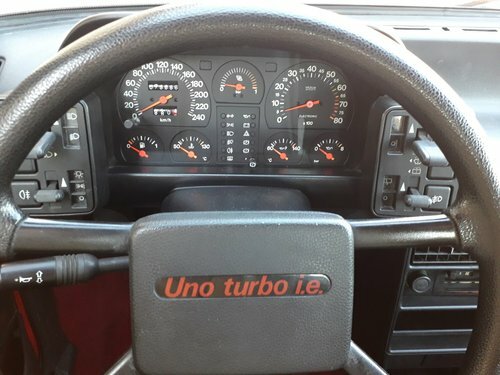 this example was a classic car magazine protagonist to illustrate the uno turbo. A copy will be with the car to his new owner. 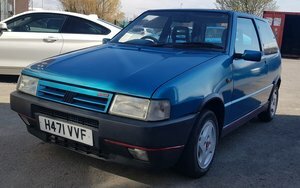 a car to preserve and enjoy,really hard to find in this condition...a generation of cars extincted...to remember the carefree 80's. 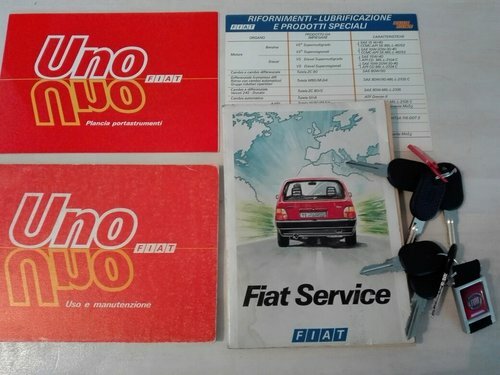 owner's literature and two keys sets are included.